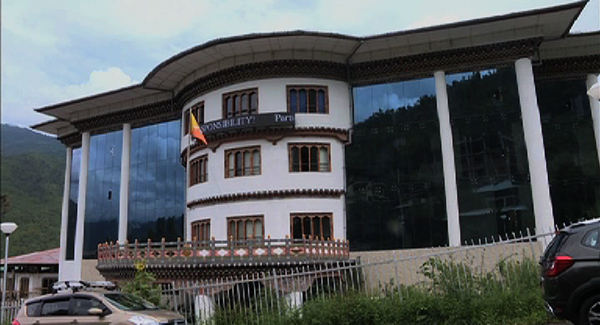 The former Chairperson of the National Council, Dasho Sonam Kinga (Phd), has removed his Facebook post, while the Druk Phuensum Tshogpa (DPT) has issued a notification calling on its members, candidates and supporters to refrain from use or misuse of social media that may directly or indirectly be construed as damaging or harmful to a person or reputation of other entities. These follow ECB’s decision on the DPT’s complaint against Dasho Sonam Kinga in regard to the latter’s Facebook post. The commission had asked the former NC Chairperson to remove the post until the elections are over. “I welcome the decision of the ECB,” the former NC Chairperson said. He also clarified the post was not ill-intentioned. The Central Election Dispute Settlement Body (CEDSB) of the ECB also stated Dasho Sonam Kinga will be issued a cautionary note as per section 29.1.5 of the Election Dispute Settlement Rules and Regulations. “I welcome it in the circumstances. It is not a reprimand,” Dasho Sonam Kinga said of the cautionary note. As for the DPT, the ECB had asked it to denounce all violence after Dasho Sonam Kinga complained of threats from fake FB accounts following the post. “DPT accepts and appreciates what the election commission decided. We will follow what the verdict requires us to do,” Sangay Phurba, the General Secretary of the party, said. The DPT is required to categorically denounce violence under all circumstances and particularly those related to elections. In the notification shared on its Facebook page, the DPT writes that as a party fully committed to preserving and promoting unity and harmony among the people, DPT does not prescribe, encourage or subscribe to any form of intimidation or threats against any individual or institution. On the allegation of the breach of ECB’s repeated notification on social media use, it was found the post was made before the notification appeared on BBS TV and in newspapers. In regard to the complaint of the post being a hate message, the CEDSB says DPT has failed to prove it. Meanwhile, the commission has received seven other cases related to the Primary Round campaign period. On August 31, Dasho Sonam Kinga posted on his personal Facebook account a summary of a book he has written. Titled “Political Contests as Moral Battles- A Perspective on Bhutan’s Democratic Transition”, the book is about how DPT won and lost elections and many more things related to pre and post 2008 elections, wrote Dasho Sonam Kinga. Following this, the DPT reported the post to the election commission via email on September 1 and lodged a formal written complaint against him the former NC Chairperson on September 4, stating the post breaches the ECB’s notification on social media use. The post generated substantial interest among netizens and sparked mixed reactions from them. A lot of them questioned the intent, appropriateness and timing of the post given it came at an election time.